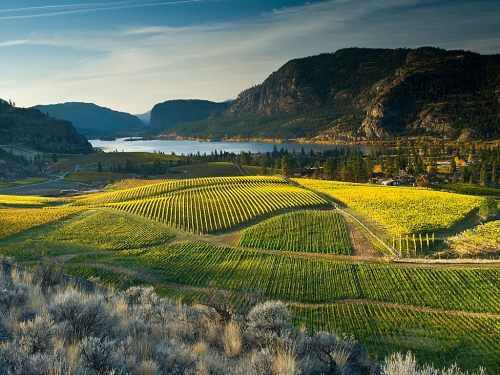 Pacific Coastal Airlines is offering a pretty great 2-for-1 deal on their non-stop flights from Victoria to Kelowna, BC. The second passenger is not really 'free', as they still pay the taxes and fees. If I've done the math correctly, when a booking for 2 people is made, Victoria to Kelowna works out to $168 CAD roundtrip including taxes (per person). Peak travel dates (June, and up to mid-July) are available. Their fares also include 50lbs of free checked luggage (and 25 lbs of carry-on). This is significant, because WestJet and Air Canada now charge $50 per checked bag on a roundtrip flight. Which means if you really wanted to compare fairly, WestJet & Air Canada are currently charging $286 CAD roundtrip for the same flights from Victoria to Kelowna, assuming you were to bring 1 piece of checked luggage. Bring 2 pieces, and it would be $336 CAD. Tuesday, Wednesday, and Thursday flights between June 1 and July 14, 2016.
flight deals, victoria, yyj, british columbia, bc, kelowna, ylw and pacific coastal airlines.